The River butts against the Bluff in Memphis no matter the water level. But for most of the length of the lower Mississippi, the shoreline is constantly changing and at flood levels swells into forests, fields, and back channels creating a no man's land up to 30 miles from levee to levee. 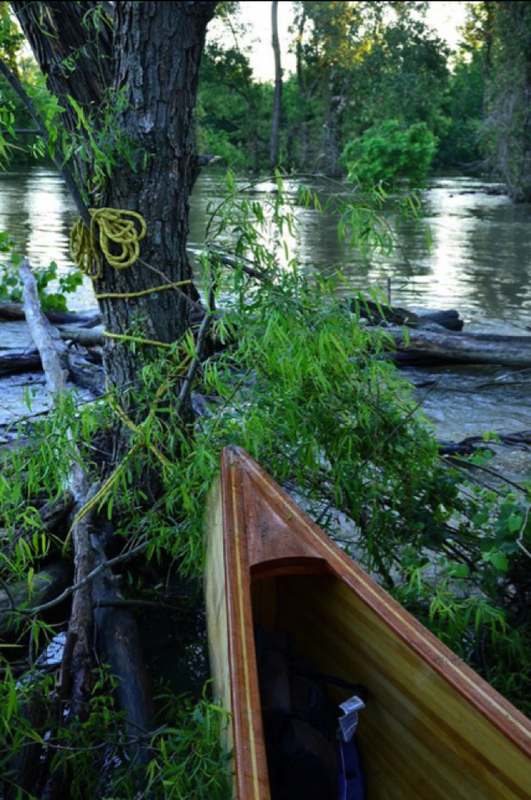 John Ruskey of Quapaw Canoe Company , Hodding Carter and Christopher LaMarca headed out on the Mississippi at the height of the 2011 flood to paddle the River's crest from Memphis to Vicksburg for an upcoming story in "Outside Magazine." Click HERE for some fascinating observations and photos of their journey.